Reigning Alabama Mr. Basketball award winner and 5 stars prospect Trendon Watford has earned an invite to the prestigious USA Basketball training camp. The camp will consist of 32 players competing for spots on the USA Basketball U18 team. The camp takes place May 31-June 2 in Colorado Springs. The final roster will compete in the Fiba Americas U18 Championship in St. Catherines, Canada that will take place June 10-16. Watford has continued his stellar play during the AAU circuit with the Georgia Stars solidifying himself as one of the top 10 prospects in the country. 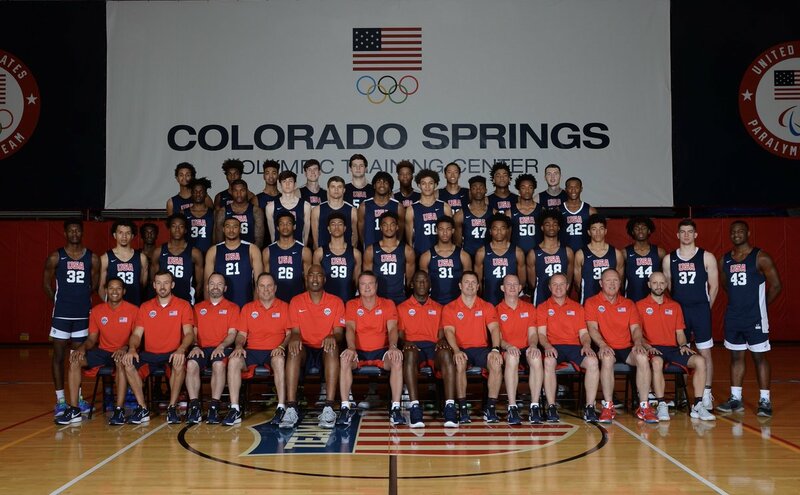 COLORADO SPRINGS, Colo. – The under-18 USA Basketball trials hit its first full day in Colorado as a few have begun to separate themselves from the pack . Friday night, it was a group of six that taught us a few more lessons as to why they are should be so heavily valued on the national platform. 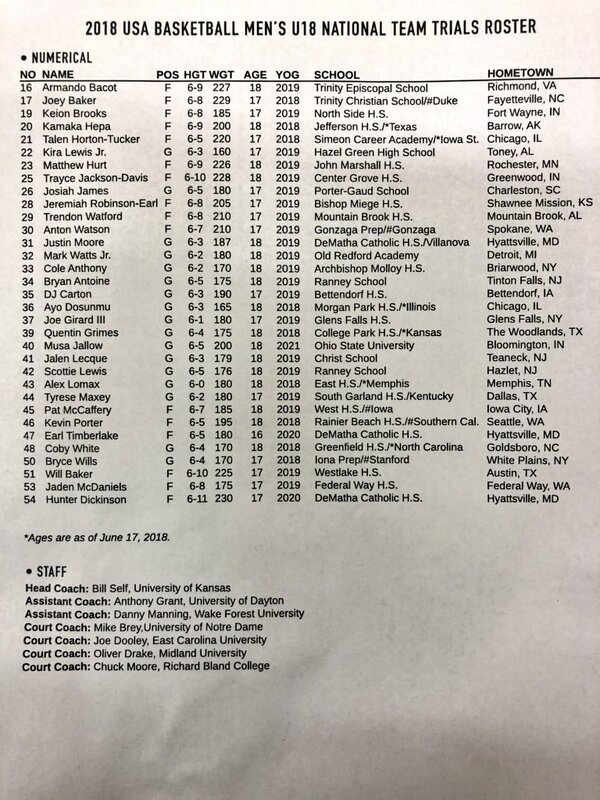 ...“We had 33 guys come here and all 33 competed hard,” said Bill Self, USA U18 and University of Kansas head coach. “We were all so impressed with how much it meant to all of them. But at the end of the day these 18 were the 18 who stood out the most and are certainly very deserving of the opportunity to continue. Now from this, they’ll each get a couple full days in order to show that they could be one of the 12 to make this team the best team it possibly can be moving forward into competition. COLORADO SPRINGS, Colo. – The first session of the day on Saturday brought droves of college coaches to see what the United States under-18 training camp was all about. What did the top powers of the game get to see in Colorado Springs? COLORADO SPRINGS, Colo. – The topic of reclassification has been a hot button issue of late and with Jalen Lecque, the stakes are raised even higher thanks to his national standing. A member of the 2019 class, Lecque is competing in the United States under-18 trials this weekend. A five-star guard that popped out of relative obscurity last summer, Lecque has become one of the most watched prospects nationally. COLORADO SPRINGS, Colo. – Josiah James has shown tremendous strides during his high school career as he earned his way to the United States under-18 trials this weekend. A 6-foot-6 point guard that can check many of the boxes, James recapped his spring, went in-depth on the schools in the mix, and gave a timeline that would lead to his college commitment. Among those strong in pursuit, James told Rivals.com that Clemson, South Carolina, Duke, Michigan State, Florida, Florida State, Virginia, Virginia Tech and Ohio State sit in a solid spot.